I Tried the Ecoegg with my HE Machine. Here Are My Results. Have you guys heard of the Ecoegg? It’s not edible. It’s for your laundry. 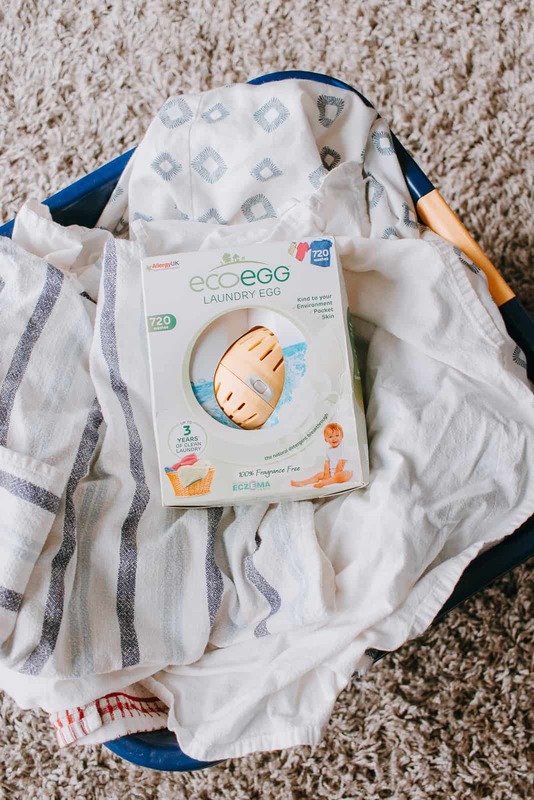 I have been looking at this laundry egg thingy called the Ecoegg for the last few months and hemming and hawing over actually purchasing it. Even with an HE machine? Am I just wasting money and time by purchasing something that doesn’t work? Reviews on Amazon were a bit all over the place, but still overwhelming good. And although I had recently discovered and been using Nelly’s Natural Laundry Detergent with good results – it’s pricey and dumping in a powder each and every time is annoying, somewhat messy and inconvenient. It’s also just really annoying. Oh – I already said that. I read a lot of reviews on this Ecoegg. Some of them said don’t buy it if you have an HE machine. Well, I decided to buy it anyways and here are my results. What is the Ecoegg and How Does it Work? First, in case you haven’t heard of this little laundry egg from England, let’s talk about what the Ecoegg actually is. 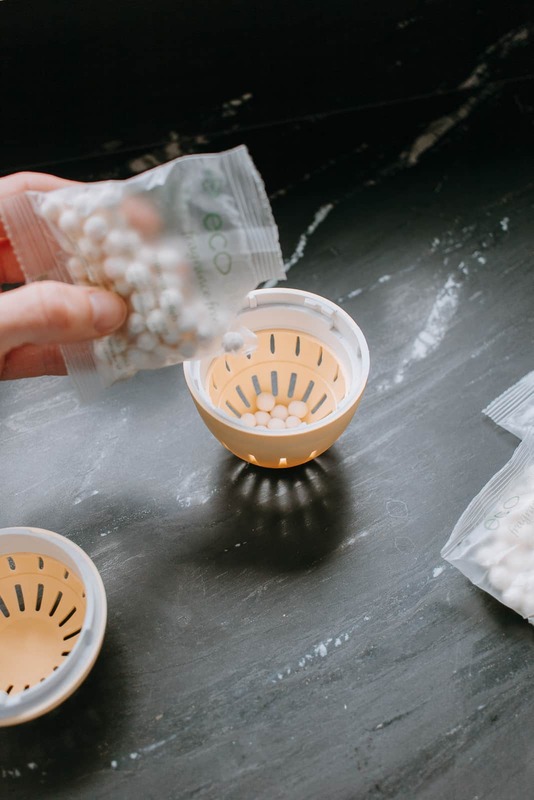 The Ecoegg is a plastic egg that is filled (you fill it yourself) with two types of pellets – one type of pellet is dark and the other is white. The dark pellets are tourmaline ceramic pellets (whatever that means) – they basically loosen the bond between dirt and your fabric. The white pellets, or mineral pellets, ionize the oxygen in the water of your machine which lifts the dirt off while also softening your fabrics at the same time. Both of these pellets work together to create “optimum cleaning results”, according to their website. It’s noted that you don’t need any fabric softener, although you can use one if you want. The Ecoegg is skin friendly, eco-friendly and wallet friendly. It contains no chemicals or bleaches or ammonias and is 100% hypoallergenic. The Ecoegg I purchased will last you 720 washes according to the manufacturer – which is basically up to 3 years! 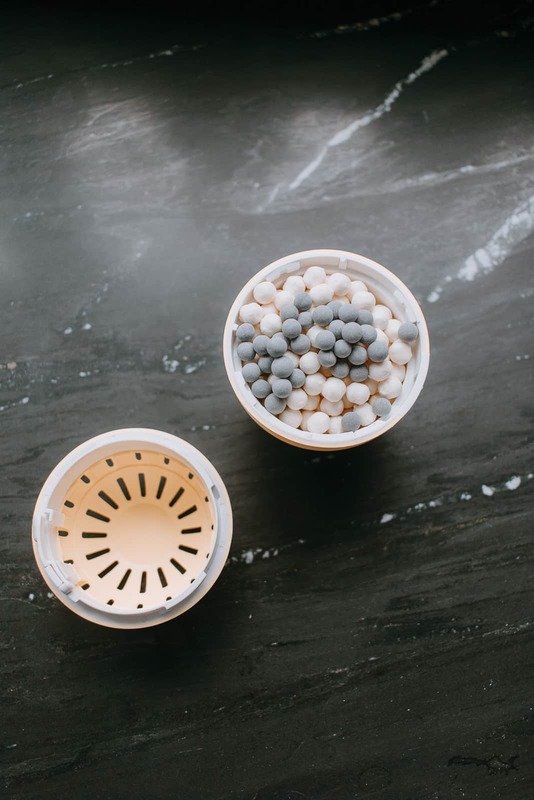 You never have to reload the dark pellets – only the white pellets need to be topped off periodically. The Ecoegg comes with additional packets of white pellets to last you a loooooooonnnnng time. And you can reorder new pellets when you need them. Here’s a few other details you should be aware of. One // The Ecoegg does not contain a scent, at least not the version I purchased. You are not going to be getting that Tide fresh laundry smell out of this. 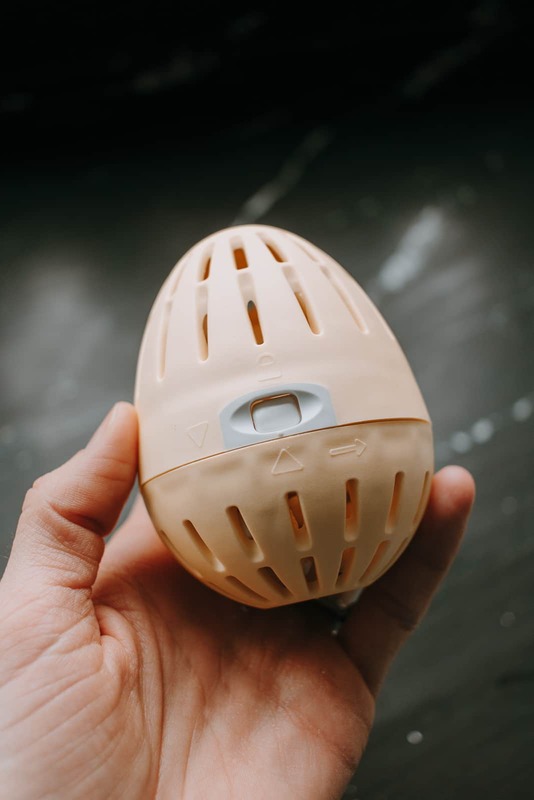 The Ecoegg does have some versions with scent (with natural essential oils), but some reviews state the scent is barely noticeable. 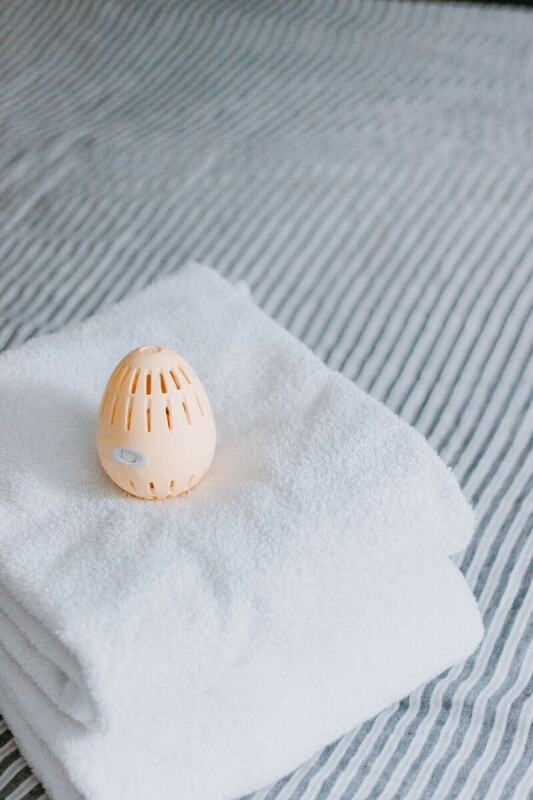 Two // To get the best results, you need to wash smaller loads with the Ecoegg. The Ecoegg works by moving around and having water flow through it during the wash cycle. If your machine is too overloaded – it won’t be able to do this and therefore won’t work as well. Three // The Ecoegg needs WATER in order to work. 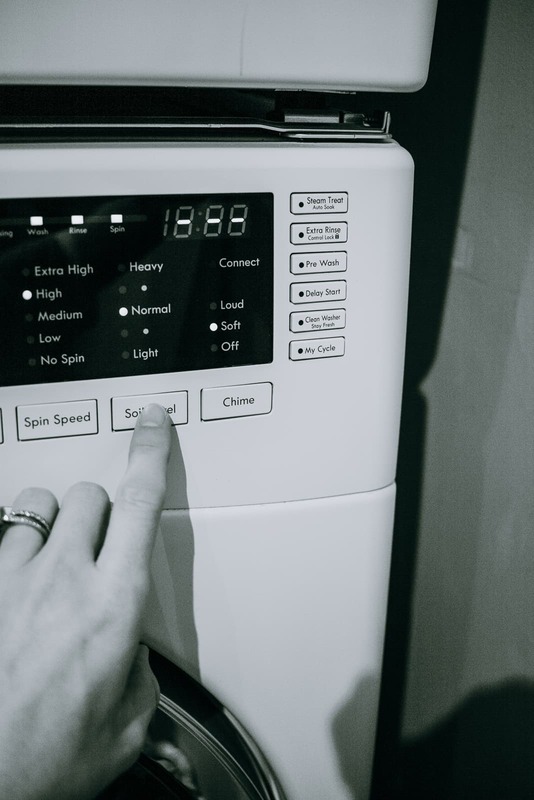 HE machines are famous for using the minimum amount of water – which is great in normal circumstances with your regular detergent. There is a way to get around this – so keep reading below. Four // It’s not recommended to wash your delicates with the Ecoegg. However, you can handwash items with the Ecoegg. 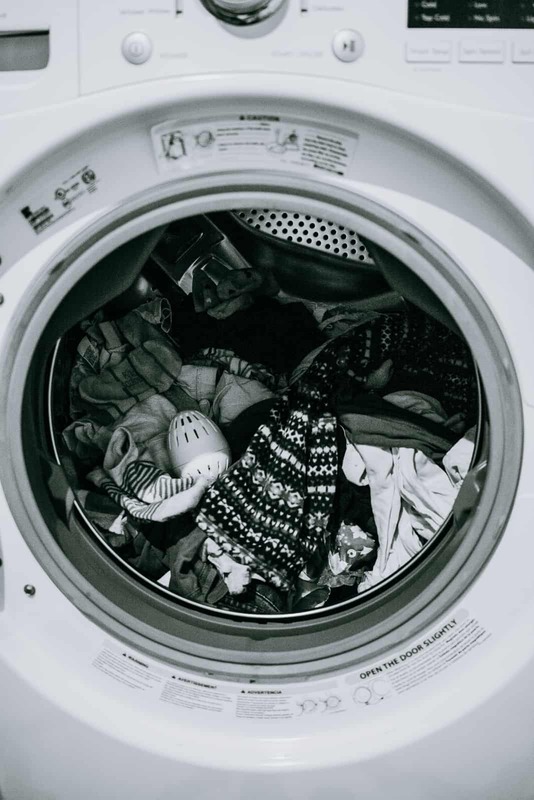 Five // If you have extremely dirty, smelly, dingy and/or stained wash – you may need to boost it’s performance by pre-treating stains, using an eco friendly bleach on your white loads and perhaps not using the Ecoegg at all. Six // If you have a Septic Tank – The Ecoegg has not been scientifically tested on septic tanks, however you can read reviews on Amazon regarding its use with septic tanks. Seven // Do not use this in the dryer. Mmmmm…kay? Does the Ecoegg Really Work? I realize this question could be tough to answer. Or I have to give you a dumb answer – like – It depends. Ugh, hate that. Because not everyone’s laundry is the same. For us – a family of four with a front loader HE machine – the Ecoegg hands down has worked miraculously well. I almost can’t believe how amazingly clean our laundry is. It’s like having new clothes! The old chemical detergents never cleaned it this well. The colors are brighter, the fabric is softer and it’s just CLEAN. It works! Now – we don’t have crazy dirty laundry, I don’t wash cloth diapers, we don’t work in any jobs where we would get dirty or stained clothes everyday, we don’t smell (lol had to throw that in there) – we have just your typical family laundry with clothes and sheets and blankets and towels and cleaning rags. I don’t even separate our clothes for colors unless an item is crazy red or it’s dark jeans! I wanted to rid my washing machine of old chemical laundry residues and smells first. So before I did any wash with the Ecoegg, I ran a Clean Washer cycle with an Affresh tablet. When the Ecoegg first arrives, you have to load it up with those pellets. You just press and twist off the cap, pour in your pellets, then twist it closed again until it’s secure. Throw in your load of laundry like you would normally (make sure it’s not too big of a load). Put the Ecoegg in the machine on top of your clothes. Close the door. Close your eyes. Imagine you’re on a beach …. with a margarita …. oh wait. Sorry, let’s get back to the laundry. Remember – the Ecoegg works better with WATER. (I like to capitalize WATER). So to make sure I have enough WATER, I trick the machine a bit and set the Soil Level to above Normal or Heavy. That’s it! I typically wash on a normal cycle with warm water, unless it’s sheets or towels. I have to say I haven’t tried this yet with a cold water setting – but I’m going to and will update this post. I also read that some people can trick the machine into a heavier load (ie more WATER) by washing their loads with a old, clean heavy towel that adds some weight in there. Does the Ecoegg save you Money? Of course – I have to take into account any increased utility bills for the extra water usage – but I’m thinking it can’t be that much. It’s still running an efficient cycle with the HE machines. And it’s still a lot less water than we used to use back in the day. I also love the fact that this isn’t messy. It’s just ready to go! No goopy liquids or powdery mess. This will be great when I teach my kids to start doing their own laundry. It saves me space in our laundry room too – I only have to store a few extras – bleach and stain remover and dryer balls. I like this brand of dryer balls by the way. 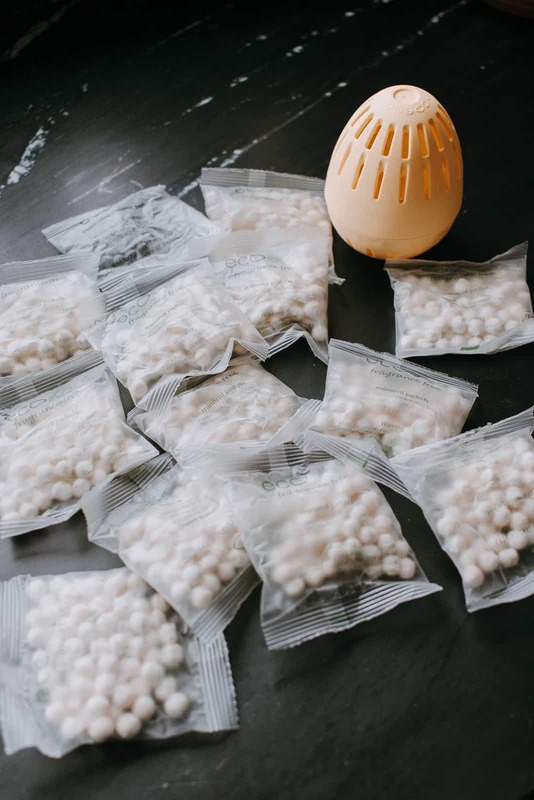 Drop some essential oils on them to make your laundry smell really really ridiculously good. I highly recommend this Ecoegg and giving it a try unless you fall into one of those trickier categories. In which case – it’s worth scouring those reviews to see if you want to take the risk or not. I hope it does work for you though! Total game changer! Hi Tina! Yes! I still use it and love it and it still works very well for us. I still need to pretreat stains (especially grease stains – if I don’t catch it clothes come out with a grease mark) and I still add a cup of vinegar to soften my towels, but the Ecoegg is all I use as my main detergent and my clothes still feel and wash up great! I love not having to put detergent in and having to store it all. I definitely recommend it!